During my latest visit to Florence, one of my favorite cities in the world, I found a really majestic gem. 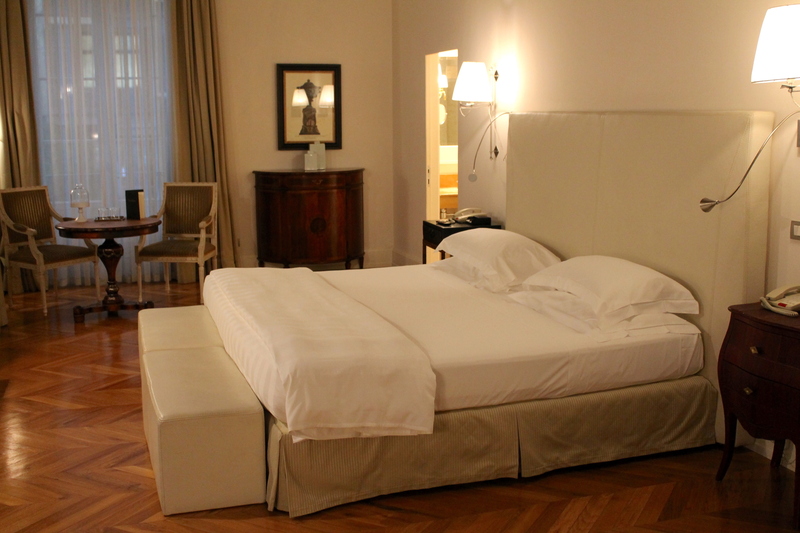 I had indeed the great pleasure to stay at the Relais Santa Croce by Baglioni Hotels, right in the heart of the city. This spectacular property is also part of the Relais&Chateaux Hotels Network and it is located inside a wonderful palazzo, with high ceilings and strong historical background. Not only a majestic place to stay in Florence, but also perfectly located: I went literally everywhere just walking! At my arrival, the staff has been incredibly kind, attentive and gentle. The first impact with the main lobby area, full of art, a fire place and a beautiful piano, literally took my breath away! What a stunning place, I love to admire the Italian excellence, and this place is surely a great example of it. 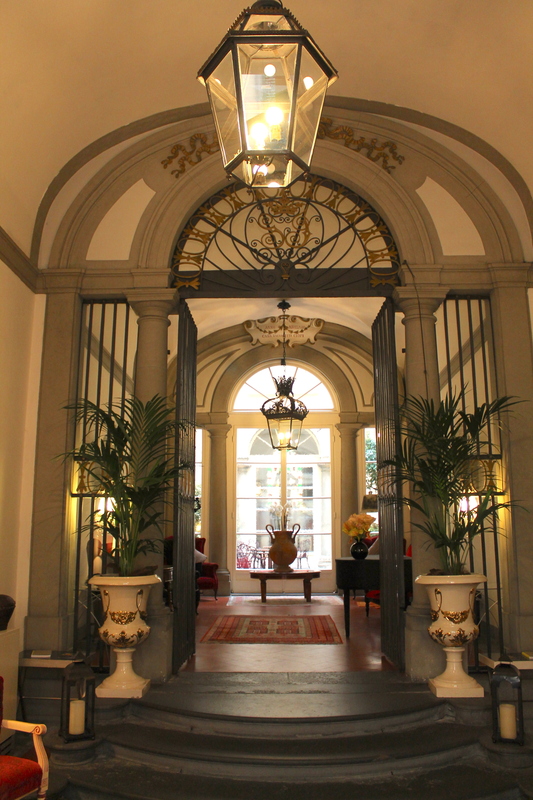 The exclusive and refined spaces of the Relais Santa Croce are in the historic center of Florence in an 18th century palazzo. You will be enraptured by the enchantment of a truly extraordinary place surrounded by fine furnishings and fresco ceilings. 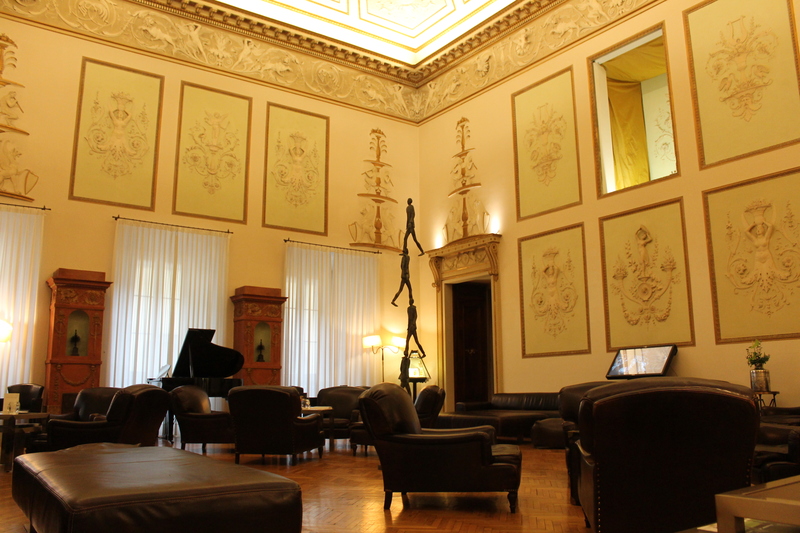 My jaw literally dropped when I got inside the ‘Royal Suite’ at the Relais Santa Croce! To be precise, the Royal Suite is the combination of 2 splendid suites: ‘Da Verazzano Royal’ (180sqm) + ‘De Pepi Presidential’ (90sqm). All the pictures you see below are from ‘Da Verazzano Royal’, one of the most stunning suites I have seen around the world so far, no doubt! This 180sqm room, that feels really like a royal apartment, is full of artworks, antique furniture and breathtaking fresco ceilings. I honestly felt like a princess, day dreaming and constantly starry eyed! On top of that, the room smelled so delicious and fresh, with incredibly positive vibes inside. I mean, I could not describe it properly due to my insane level of amusement! This extremely lavish suite has 2 living rooms, 2 bathrooms, a wide bedroom, a small gym corner, an extra-large jacuzzi, and all the amenities you need (including the coffee machine). Rare objects, beautiful lighting and amazing carpets, together with the artworks and the strong historical background make this place absolutely phenomenal! 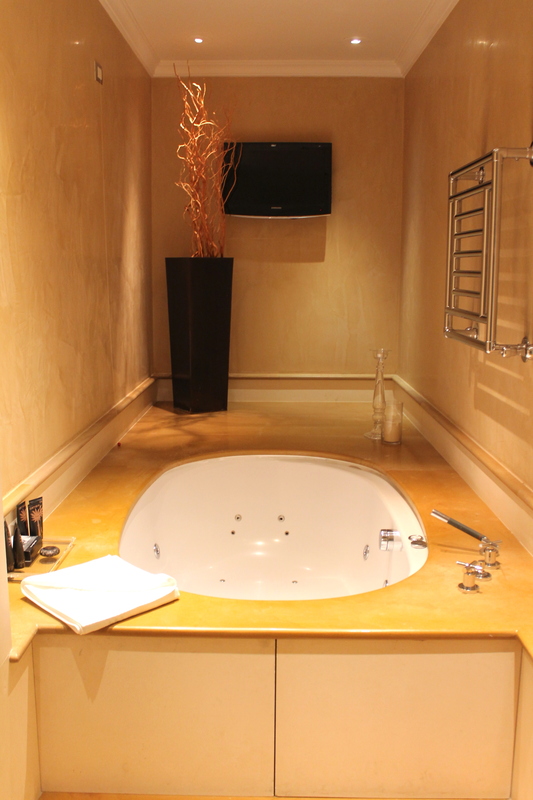 As mentioned, in this suite you can get an extra-large jacuzzi, with TV, candles and the best atmosphere! 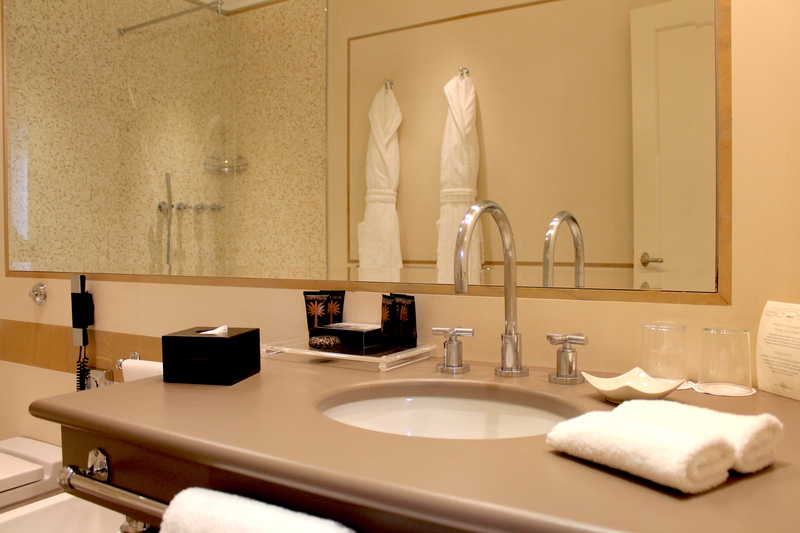 Relais Santa Croce by Baglioni Hotels has a total of 24 rooms (suites included). 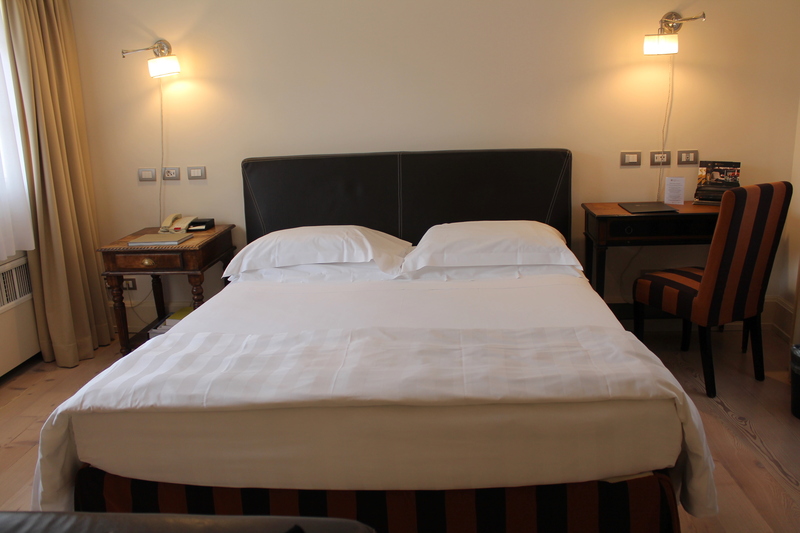 The hotels offers indeed brand new rooms, fully renovated and extremely cozy. I would like to recommend the Terrace Suite, if you are looking for a splendid place without going too big with the Royal ones! I checked out the Terrace Suite: it has a lovely balcony that overlooks the city and it is located right in front of The Santa Croce Basilica! The room is fully renovated, cozy, clean and elegant. 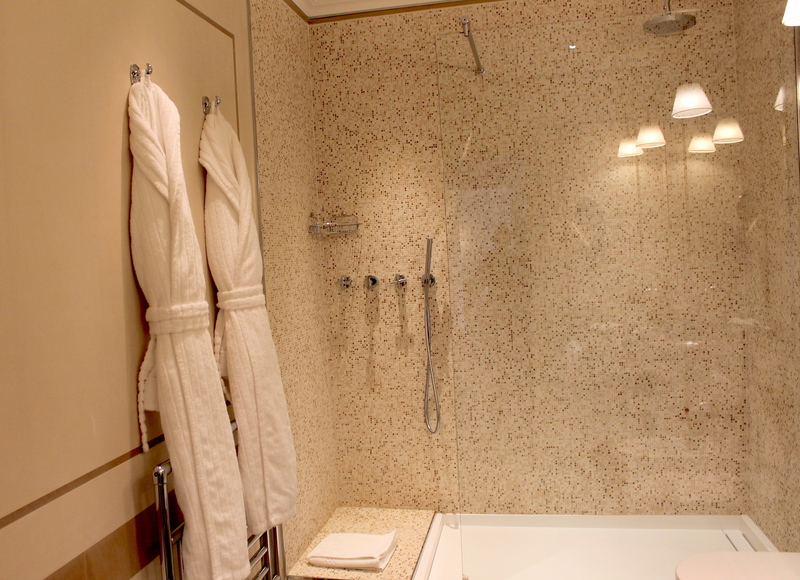 The bathroom is brand new as well, with mosaic interiors and a wide shower and Ortigia body products. 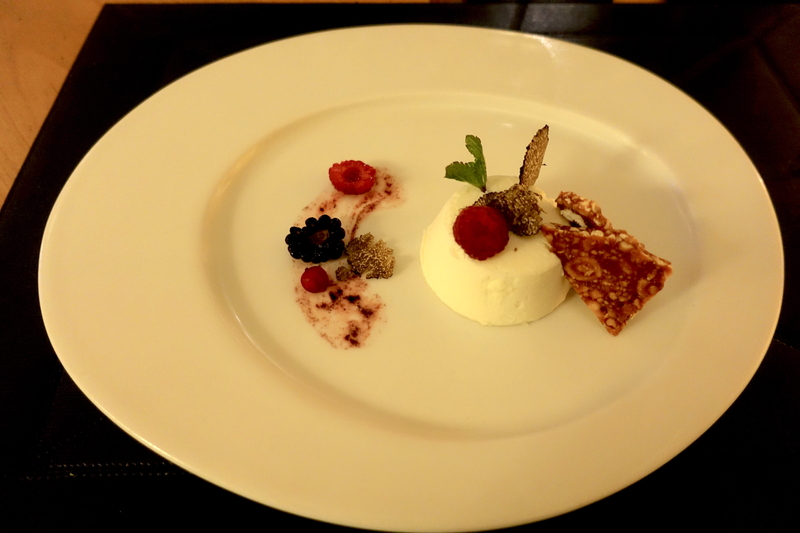 When you are living an unforgettable stay in such a beautiful hotel, you cannot miss a special dining experience. Especially if you are in Italy. I had indeed the immense pleasure to have dinner at ‘Guelfi e Ghibellini’, which is the gourmet restaurant of Relais Santa Croce. The fine Italian touch of Mr. 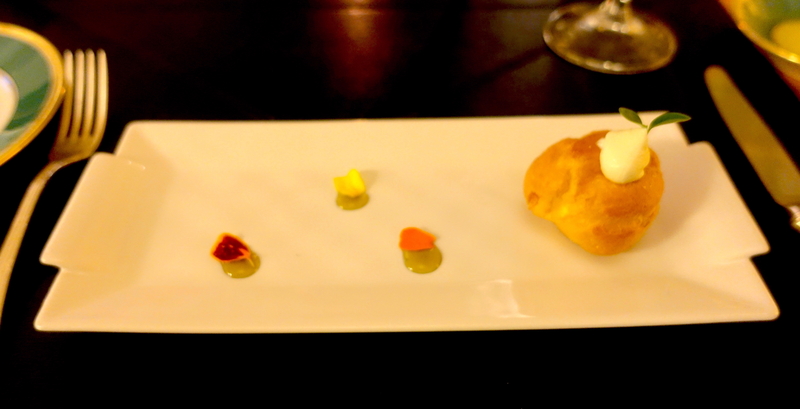 Chef Niccolò De Riu really impressed me. 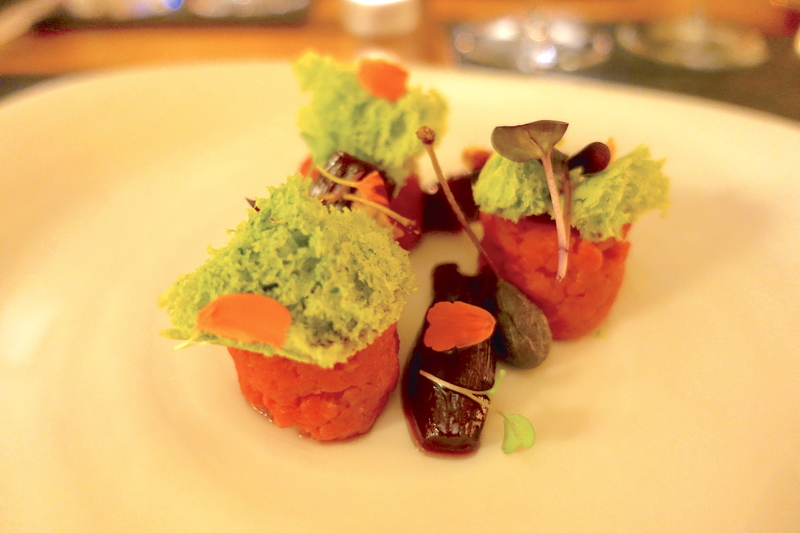 Everything was incredibly delicious, well presented, the ingredients divinely combined. 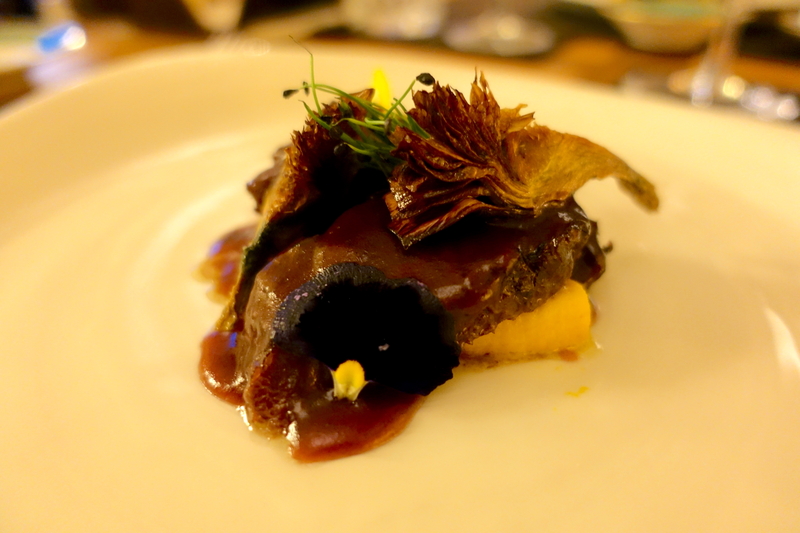 And each dish smartly paired with a great wine from Tuscany. What-a-dinner! 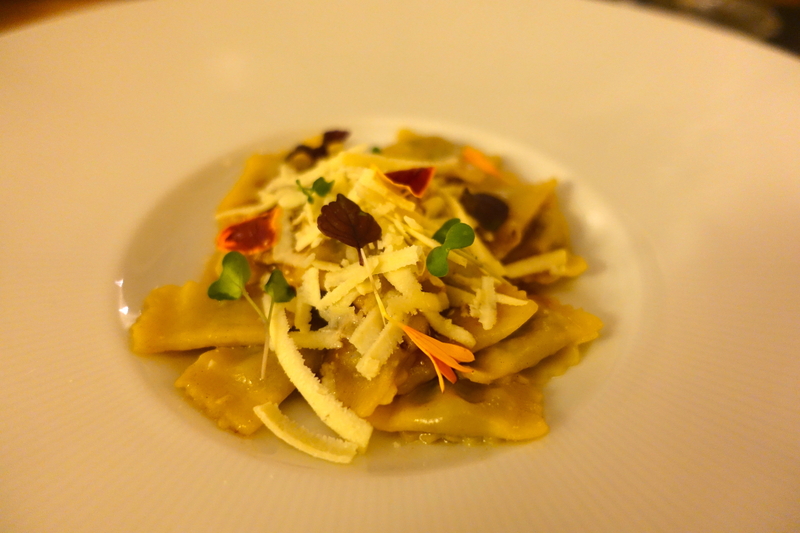 I definitely consider this restaurant ‘a must’ while in Florence: the food is great, the place is cozy and intimate, totally my favorite type of place! 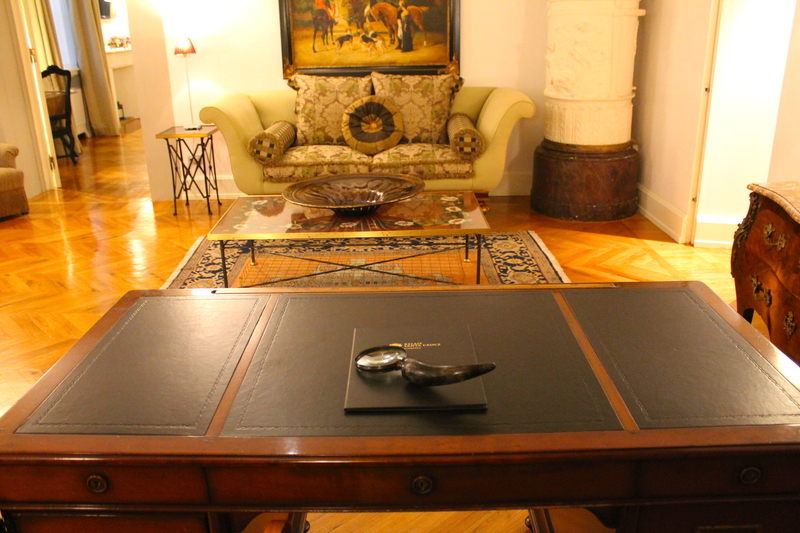 The service was impeccable, highly professional and gentle: another crucial point for me! Everything you see in the images below was good beyond words. Literally. 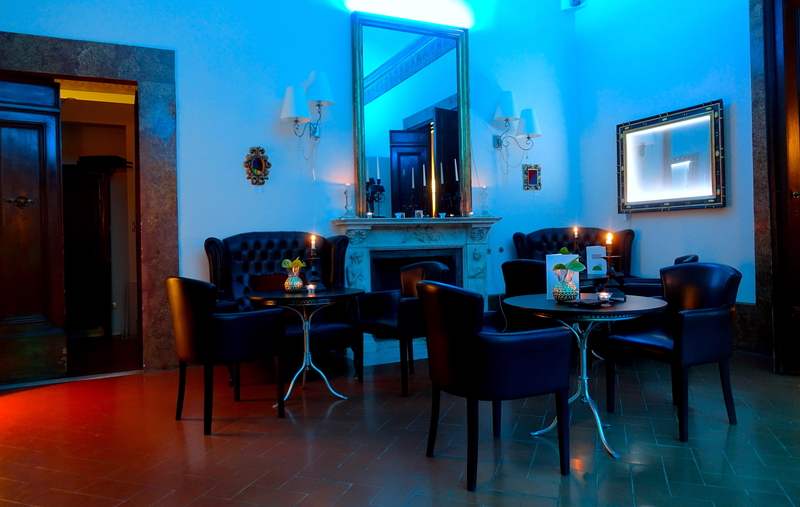 During your Florentine evenings, you can treat yourself with a great cocktail or a glass of fine Italian wine at the bar of Relais Santa Croce! 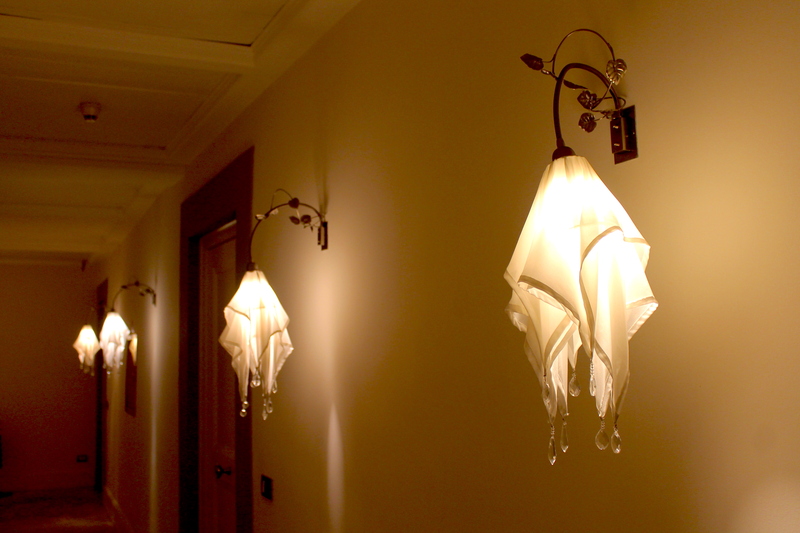 Lovely and romantic atmosphere, jazz music in the background and elegant surroundings. 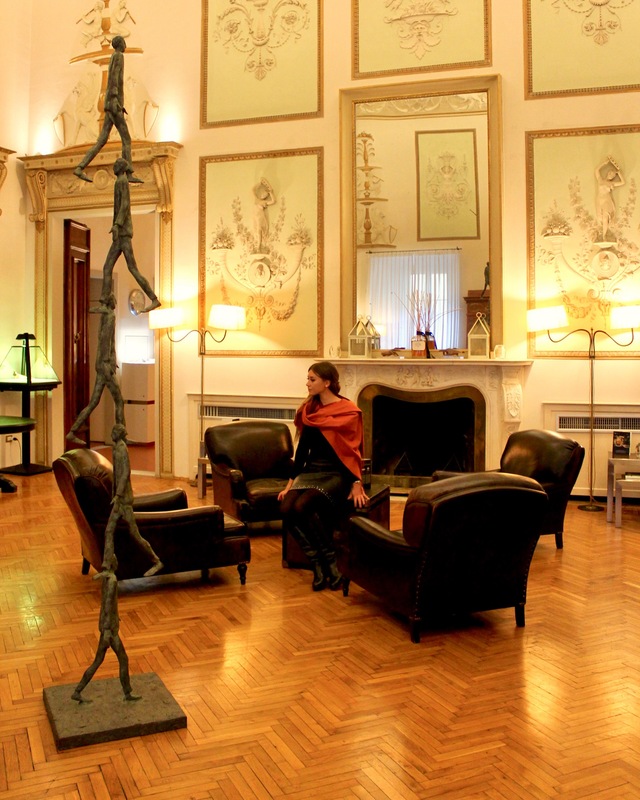 Another fantastic characteristic of Relais Santa Croce is the strong commitment of the management related to the artistic and cultural scene. There are indeed many events – from September to March – dedicated to promote a “Contemporary Florentine Renaissance”, as the Director Mr. Marco Del Lama explained to me. Jazz, Rock, Gospel, Orchestras, Dj Sets… together with art and food events. Everything is possible at the Relais Santa Croce, a very unique and fabulous place to get an unforgettable taste of the Italian Excellence in Florence! If you are willing to get involved and informed about those events, you can subscribe their newsletter or contact directly the super efficient staff of the hotel, that will promptly help you.